These TALL manifolds are for EPC's & IDA's only. 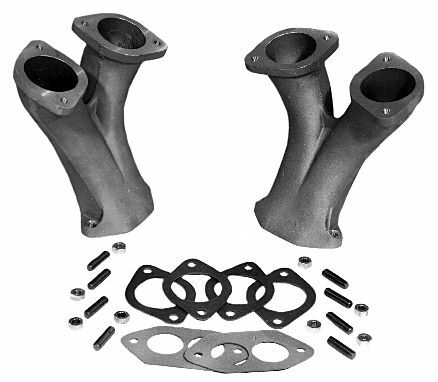 Each cast manifold is designed to utilize the specific characteristics of the carb for which it is made. Extra effort has been spent to be sure that fuel flow is at the optimum. All surfaces have been carefully machined for complete sealing. All necessary gaskets and hardware included. 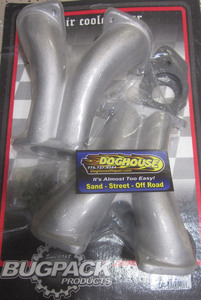 Our dual linkage will complete the installation of these manifolds. Bugpack packaged and made in USA. 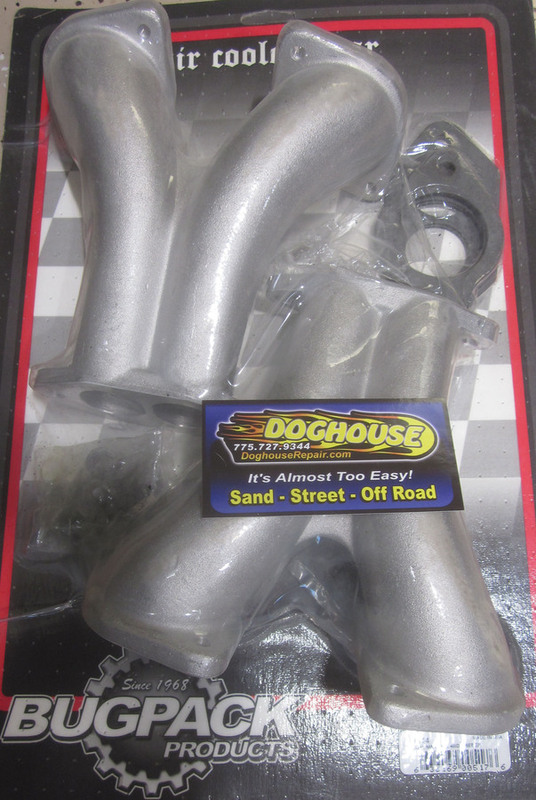 Note: You may experience clearance problems on some fan shrouds when using dual carbs.